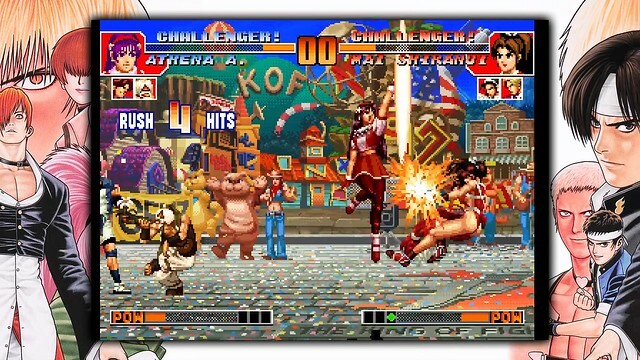 The iconic SNK classic returns! $14.99 USD gets you the game on both platforms. Are you prepared to put an end to a fight centuries in the making? SNK is bringing one of the most iconic entries in the KOF franchise to PS4 and PS Vita tomorrow! Releasing at $14.99 with both cross buy and cross play, this is a must-buy for any fighting game aficionado! The biggest addition to this release is the inclusion of online multiplayer, including options such as the ability to play single player while waiting for matchmaking. As with our previous releases that were made in collaboration with Code Mystics, The King of Fighters ’97 Global Match will also include a special Gallery Mode with unlockable art pieces, and the ability to set the Menu BGM to your favorite music track! 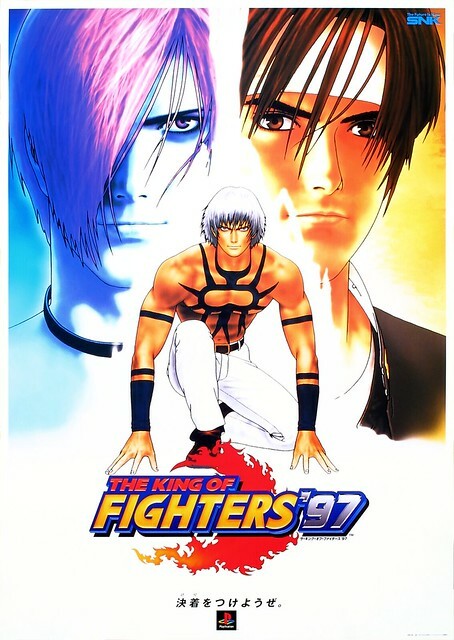 The original KOF ’97 release was a key entry in the franchise, because it concluded the first overarching KOF storyline, the Orochi Saga, which went on to be a staple in the series going forward. 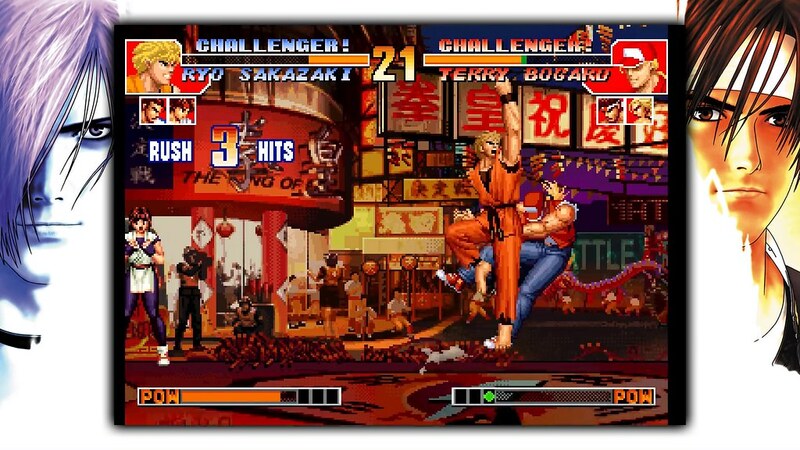 I sat down to talk with Yasuyuki Oda and Hideaki Asanaka about the development of KOF ’97 to get an idea of what sets it apart from other entries in the series, at least in the eyes of the developers. JW: Can you tell us a little bit about your history with KOF ’97? Oda: Well, I was not directly involved in the development process for the KOF titles as I primarily worked on the Fatal Fury series; however this entry is particularly special because it added a few new characters from the Fatal Fury series, Blue Mary and Ryuji Yamazaki. 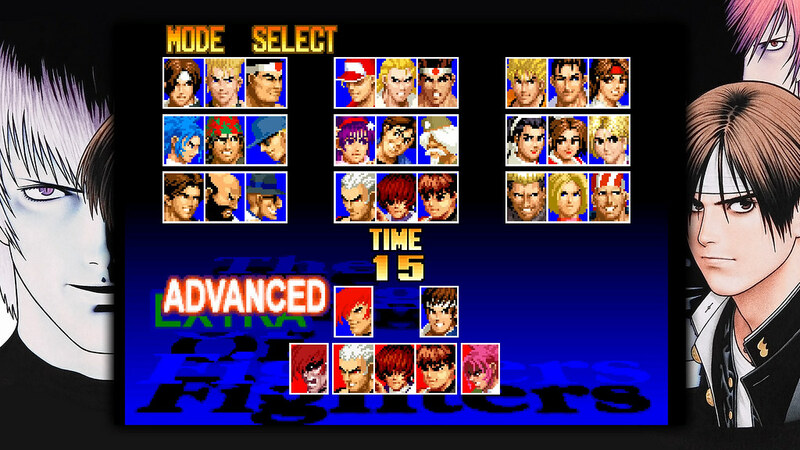 In fact, one of the new teams added to the game was actually the result of polling fans through a handful of Japanese gaming magazines for characters they wanted added to the series and all three of them (Billy Kane, Blue Mary, Ryuji Yamazaki) were actually characters from my Fatal Fury series, which made me very happy. Billy Kane had already appeared in the KOF series, but the other two made their debut in this title thanks to their popularity among fans. On top of that, we always had trouble creating the sambo style grappling moves for Blue Mary in the Fatal Fury games. In certain titles, we actually started cutting down on her grapple moves because they were hard to balance. However, I feel like the designers who worked on her in KOF ’97 managed to find the perfect balance in her gameplay, which really impressed me as we had struggled there. Asanaka: I was the Main Sound Designer on KOF ’97 and it still sticks in my mind because we challenged ourselves to create a very different type of soundtrack. As part of the plot, the KOF tournament stops being a secretly held event, with more of a mainstream appeal, complete with sponsors and TV broadcasts. In that sense, we wanted to move away from the standard format with every character having their own music tracks, and instead focus on a more overarching sound styled after competitive events. I believe that the ’96 Olympics being fresh in everyone’s minds also helped influence that direction as well. It was a challenge and there were some necessary cuts made to match that direction, but I think we succeeded in making a very unique soundtrack for the game that still has fans to this day. JW: Considering the series had yearly updates during this period, were there any other changes to make things fresh? Asanaka: The team members for the KOF titles actually changed quite a few times, so each team definitely had their own take on things. One thing that comes to mind is that there was actually a push to add some levity into the title to balance out the fairly dark storyline. The addition of Shingo Yabuki to the game highlights this in my opinion. He’s designed to be a comic foil to the main character Kyo, and his design and personality is definitely influenced by common anime tropes such as school rivalries. JW: Were there any other interesting stories or changes to KOF ’97 that you remember clearly? Asanaka: There is one more actually, though I’m not sure how interesting people will find it! One issue we always had with KOF was that the arcade center income was less efficient than other titles such as Fatal Fury. This was just simply because having a 3v3 system meant it took longer per play for rounds to finish, which meant less 100 yen coins for the company! We obviously did want to touch that system as it is central to the KOF experience, but we made changes elsewhere, such as speeding up the message speed. Oda: Yeah, actually we did something very similar with Real Bout Fatal Fury 2, removing a lot of extraneous features so that matches started and ended much quicker. JW: Do you have any last comments for the fans? Asanaka: KOF ’97 felt like a turning point for the franchise as we finished the first overarching storyline and it was a huge hit with fans. I hope they enjoy the unique soundtrack we put together for this iconic release. Oda: KOF ’97 is still currently one of the most popular eSports titles out there, especially in China where huge tournaments are still regularly held. I hope that this release motivates more fans overseas to try their hand at competing in these retro titles! 1) You said it is coming tomorrow, Tues 4/3. However, The Drop said it is coming, Thurs 4/5. Which is it? 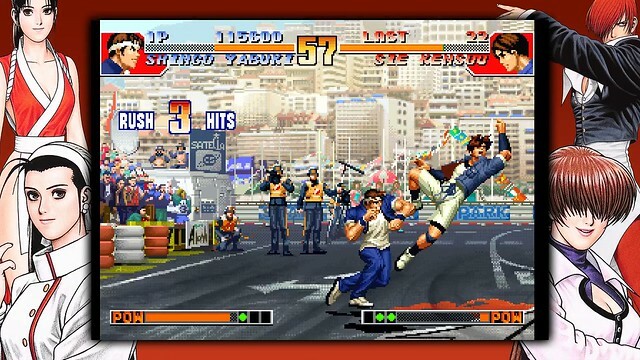 2) Thank you for re-releasing SNK games via ACA NeoGeo. I have bought all the fighting games. However, I do have a question. Why is the release of ACA NeoGeo for the US behind the Xbox and Europe and Japan? Several ACA NeoGeo that are out for the XB1 in the US and PS4 in Europe and Japan, are not on the PS4 in the US. What is causing the delay? With that being said, I’m really excited for this release! 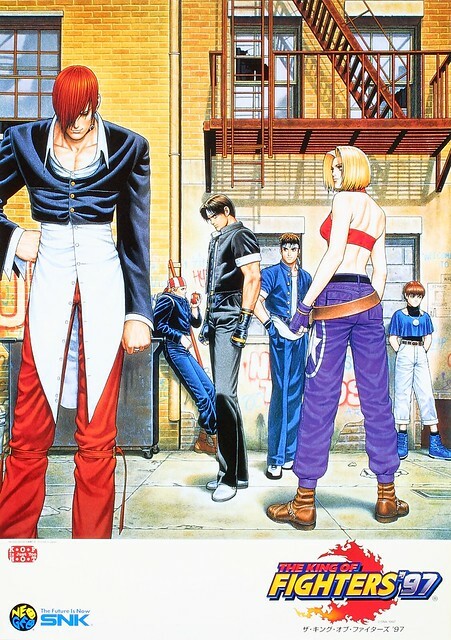 The King of Fighters ’97 was the first KoF game I imported and owned waaaay back in 1998 for my PS1 and absolutely loved the game, even despite the missing frames and somewhat long loading times. lol The soundtrack was one of my favorite parts of the game, as it felt totally different from Capcom or even SNK’s other fighters that were out at the time. 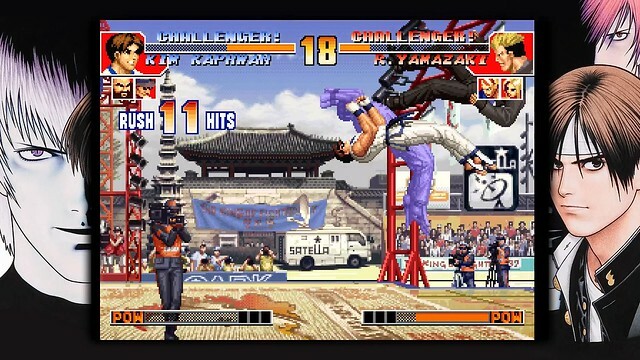 I remember the game also had an FMV trailer for The King of Fighters: Kyo but unfortunately, it was never localized. Will this release also have the arranged soundtrack that was found on home console releases or is it strictly the arcade soundtrack? Thank you guys so much for breathing new life into the game on the PS4 and Vita! The important question: Why this game with a lot of infinites instead KOF 98′ Ultimate Match? 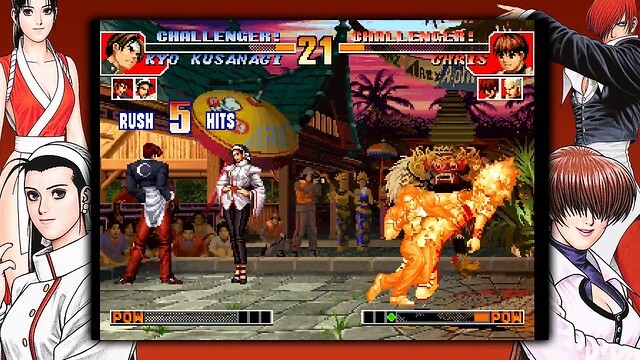 This game will have online, fine, and KOF 98′ UM (PS2 Classic) without online, for the same price? Great article and thank you for giving out recognition to SNK fighters but what’s the date now? Tomorrow or Thursday? Now we need KOF 2003, XI, and SvC please. I am wanting to spend $50- $100 (Aud) on a Vita product. But there doesn’t seem to be recongnised titles. This one is good. I want to keep supporting this series but I’m not a fan of the ACA NeoGeo releases. While they’re arcade perfect, they’re barebones. These games deserve the Global Match treatment. so I just wanted to swing in and confirm that the release on US PSN is set for 4/3! My favourite KOF and he first I played! Everything is great in this game: the stages, the musics, the characters, the dynamique introduction and the ambiance. Glad to see it back! But I stil don’t understand, why SNK has released KOF 98UM without an online mode, knowing that it is the most popular episode of the serie among the fans.